Why try to stop your headache? Of course you want to rid yourself of the pain. But wait! Instead shouldn’t you talk it over a bit with your headache? It is there for no other purpose than to warn youâ€”it says, LOOK OUT. Something has gone wrong. Learn to diagnose your headache and you at once spot the real source of trouble. If you are not well; if some one of your organs does not function properly, if you are constipated; if your stomach does not properly digest the food it takesâ€”a headache is very likely to wave its signal to you to LOOK OUT. In his startling hook. 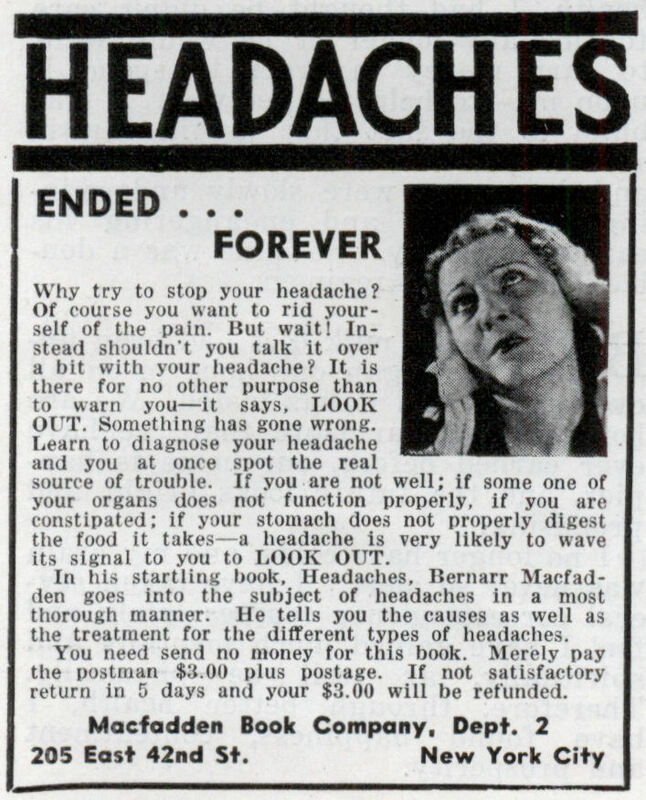 Headaches, Bernarr Macfadden goes into the subject of headaches in a most thorough manner. He tells you the causes as well as the treatment for the different types of headaches. You need send no money for this book. Merely pay the postman $3.00 plus postage. If not satisfactory return in 5 days and your $3.00 will be refunded. 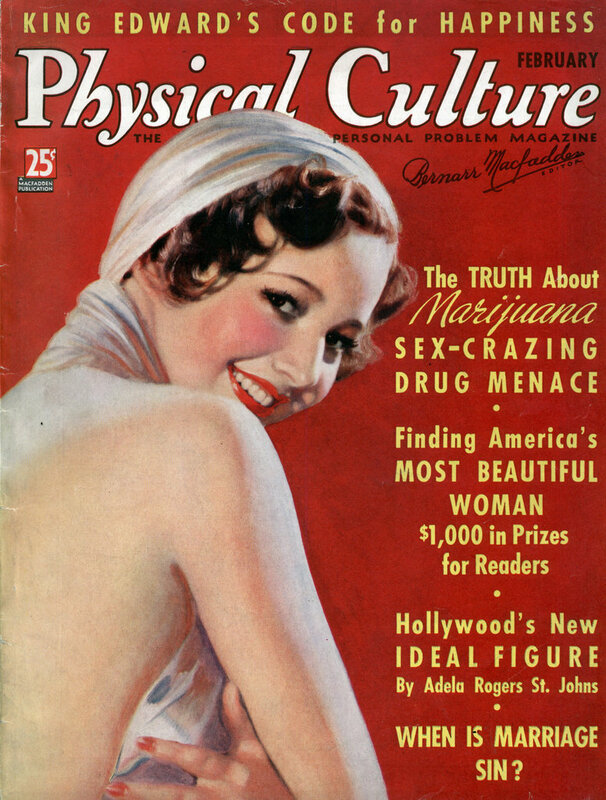 My great-great aunt suffered from migranes in the 20s. Her doctor told her to GENTLY wiff a few drops of ETHER on a cotton ball. It cured the headachs in a few days!